This is really disturbing: http://autoweek.com/article/volkswagen/vw-launches-zev-subsidiary-us-part-diesel-penance. As the Autoweek article states, VW’s latest penance for the diesel cheating scandal is to “invest” $2 billion into EV infrastructure. Yes, invest is in quotations. You can call it what you like, but investment is voluntary. What VW is doing is not. Therefore, the “investment” is closer to extortion made legal because our government said so. I guess that answers my earlier questions about where the money from the settlement will go. So here’s the thing. Should VW have lied about its diesel emissions and cheated the emissions test? No. 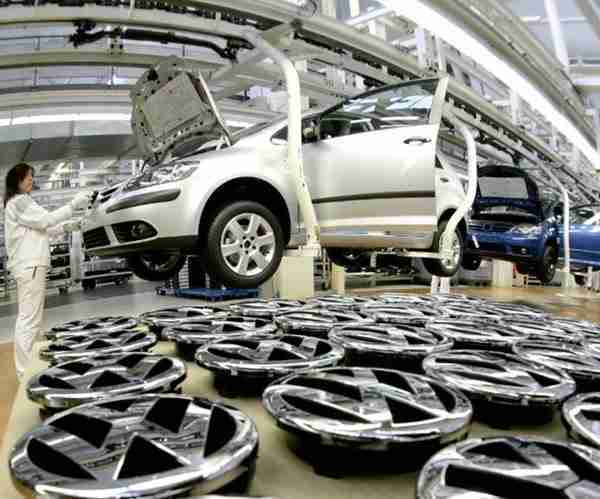 Should VW be responsible for deceiving its customers? Yes. But, paying money to the government? No. Should VW be forced to invest in EV infrastructure? No. The issue is complicated in some ways and not so in others. Here is my main gripe about this. EV tech is clearly not supported in the market place, which is why there hasn’t been massive investment (real, not imagined or forced) at the corporate and industry level. The tech was foisted on the public by the Obama administration, the current emissions standards are unrealistic at best and at worst create an environment that causes scandals like this one which then allows the government to slam a company with excessive fines. So, then what does the government do? Government forces a company, in this case VW, to put in charge stations that it might otherwise not have and then requires VW to advertise the wonderful benefits—real or imagined—to convince people to start buying EVs. All this is done under the guise of “investment.” And if it didn’t agree to the terms, I am sure VW would be forced out of business and lots and lots of jail time would ensue. I don’t want to say the government seems to stack the deck against industry so that it can demand a private company do its bidding, but it sure seems like it, doesn’t it? I guess the U.S. government just got lucky with all of these circumstances. I guess. I hate sounding like a member of the Tinfoil Hat Club, but sometimes, things happen that make you sit up, take notice, and ask questions. This is one of those things. For its part in the charade, VW is “happy” to “invest” $500 million dollars over four periods in improving EV infrastructure and advertising the benefits of EV tech to consumers. What’s more, the EPA and California Air Resource Board (CARB) have to approve the investments VW makes. Guess who just became VW’s silent partner? Government. I wish that VW execs would have taken an interest in preserving a free market and liberty and just done the jail time. But maybe I am being too cynical. What do you think? I am sharing this so we remember and so Ford will get the hint. Obviously, the Bronco in this article isn’t stock by any means, but the message bears repeating. We don’t want a grocery getter. We want a Bronco that we can thrash around in the desert!